Northern New Mexico College plans to offer three bachelor’s degree programs at the Santa Fe Higher Education Center (HEC) starting in fall 2017. 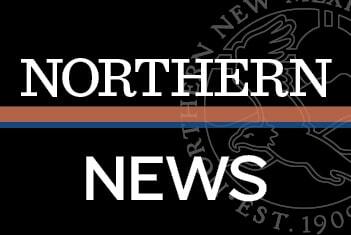 Under a recent agreement with HEC, Northern will offer bachelor’s programs in Information Engineering Technology, Business Administration/Project Management, and Integrative Studies/Psychology. The three Northern programs are not currently offered by the HEC’s other partner institutions, and will enhance bachelor’s degree options for students in Santa Fe and the surrounding areas. “NNMC faculty and staff are very excited to partner with HEC. Through this partnership, Santa Fe students will have access to affordable, high quality, and nationally accredited baccalaureate programs that wouldn't otherwise be offered locally,” said Northern’s Provost and Vice President for Academic Affairs, Dr. Ivan Lopez. Northern’s Bachelor of Information Engineering Technology (IET) program is nationally accredited by the Engineering Technology Accreditation Commission of ABET. It is also one of the most affordable engineering degrees in the U.S. Southwest. The Bachelor of Business Administration/Project Management program is nationally accredited by the Accreditation Council for Business Schools and Programs (ACBSP). The Santa Fe Higher Education Center at the Santa Fe Community College is an educational consortium focused on expanding opportunities to the residents of Santa Fe and the surrounding areas. The Center offers students the opportunity to work towards a bachelor’s degree from Northern New Mexico College, New Mexico Highlands University, the Institute of American Indian Arts, New Mexico State University or the University of New Mexico, while remaining in Santa Fe. Registration for all three Northern programs at HEC for the Fall 2017 semester is currently open. Northern New Mexico College is a minority-serving institution, offering bachelor's, associate, and certificate programs. For information about the Information Engineering Technology program, contact Jorge Crichigno, at 505.747.5429, jcrichigno@nnmc.edu. For information about the Business Administration/Project Management program, contact Lori Baca at 505.747.2186, lbaca@nnmc.edu. For information about the Integrative Studies/Psychology program, contact Lori Franklin at 505.747.2215, lorig@nnmc.edu or Stephanie Amedeo Marquez at 505.747.2120, amedeo@nnmc.edu.